The Social dynamics: those both visible and invisible. With all of these factors concentrated into a plan, success is much closer and abundance just around the corner. 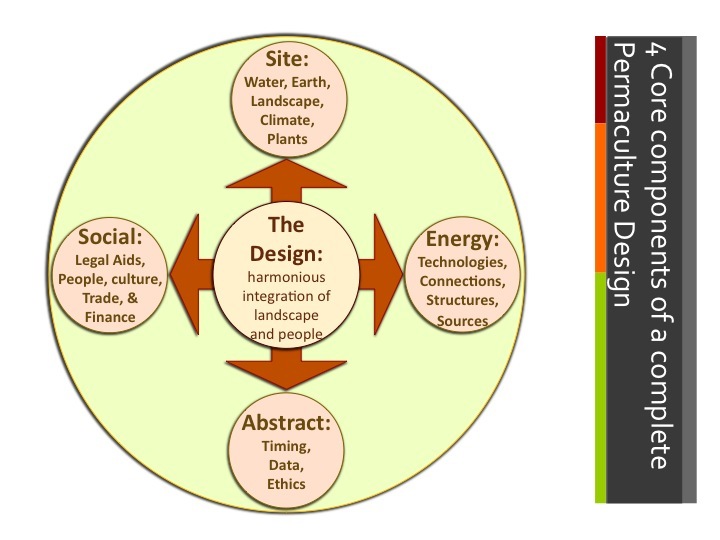 The design process that we use comes from my Permaculture Teachers Training Course with Benjamin Farher and Kat Steele at the Esalen Institute and is one of the hot topics of Permaculture these days thanks to people like Dave Jacke. We use a hybrid one based on this simple pattern shown below, the core model, that Bill Mollison said all patterns spawn from. 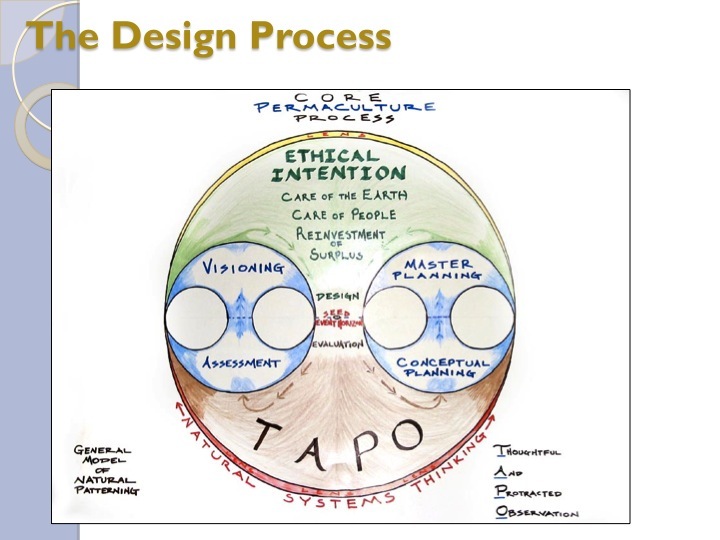 It is a fluid process that allows the user to go through a linear process while accepting the holism of design. This holistic perspective gives you the ability to back track at any moment to any step and the re-evaluation process. When we form intention with the ethics of Permaculture and root ourselves in observation that is protracted (over an extended period of time) and thoughtful. Then the fluidity of information and creativity can form the sacred symbol of the never ending figure eight. From there we can look at the different ways in which design is manifested. Not all design has to be done on paper or computer and when working in areas of low literacy, the 3D option increases the usability of the design process. Design helps us to understand spatial and time relationships and using the 3D allows us to possibly comprehend slope even better than the 2D option. Topographic lines are very powerful but architects, developers, and project manager take those and form 3D images very often with sponge board or now with Google Sketchup or AutoCad. 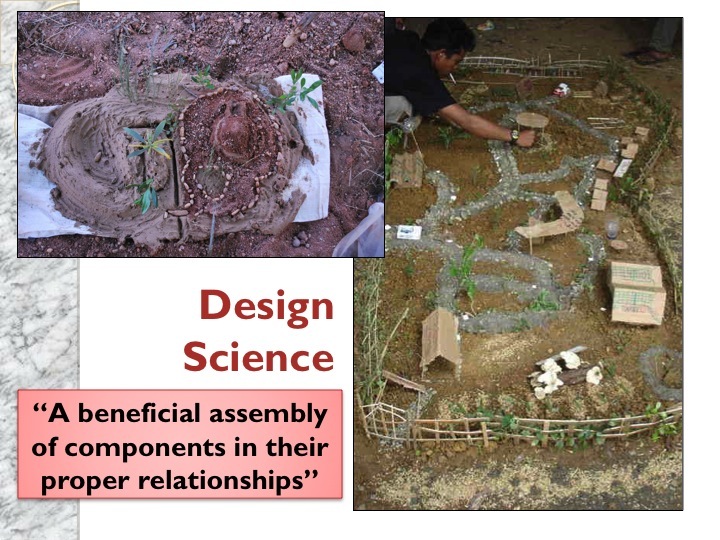 Obviously in many contexts of permaculture, the simple method of using clay, sticks, stones, sand, cardboard and other materials creates a good tool for laying out a site or designing a building. 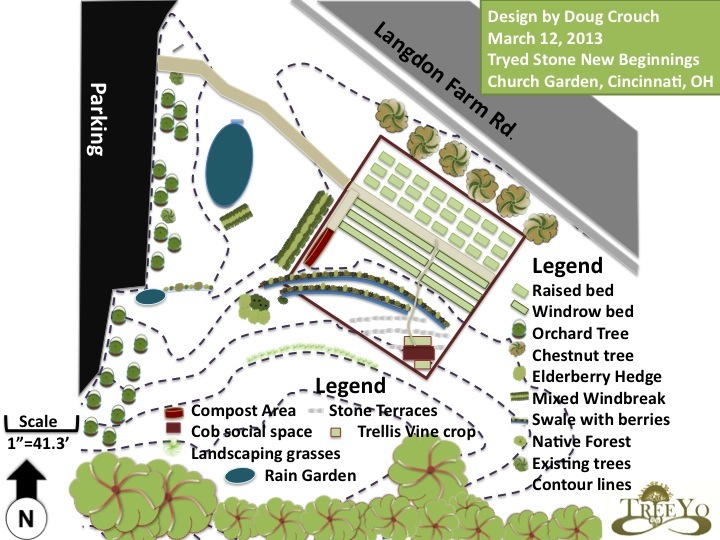 From these larger site designs, patch or project details can be used to further explain particulars of the design. This allows you to use both plan view, looking from above, and section view, looking from the side, to articulate those space and time relationships. Clients will expect this of you and as you practice the process will get more efficient. 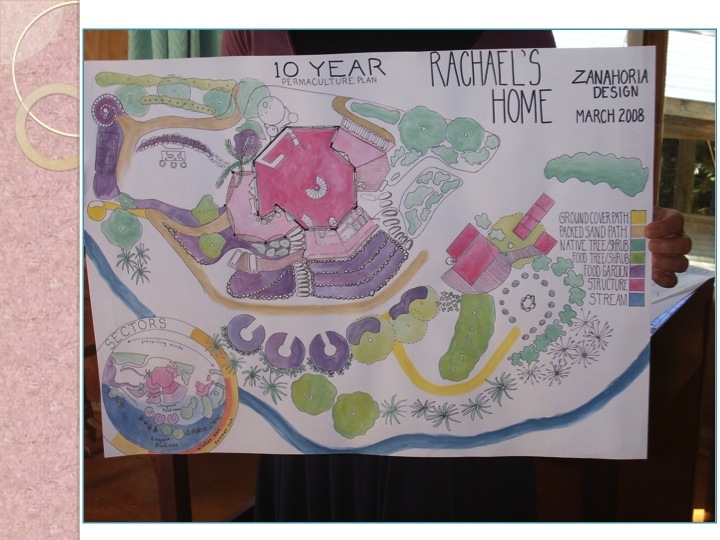 Below is a paper design done in a PDC that I was an assistant for back in 2008 at Tui Community on the North coast of the South Island of New Zealand. This particular drawing had quite a talented artist in the group and those skills are obviously displayed here. In a PDC this is normally what you are asked to produce as well as the above examples of patch designs. Design can also be manifested in the form of project management mind maps or simple flows of energy within a business. 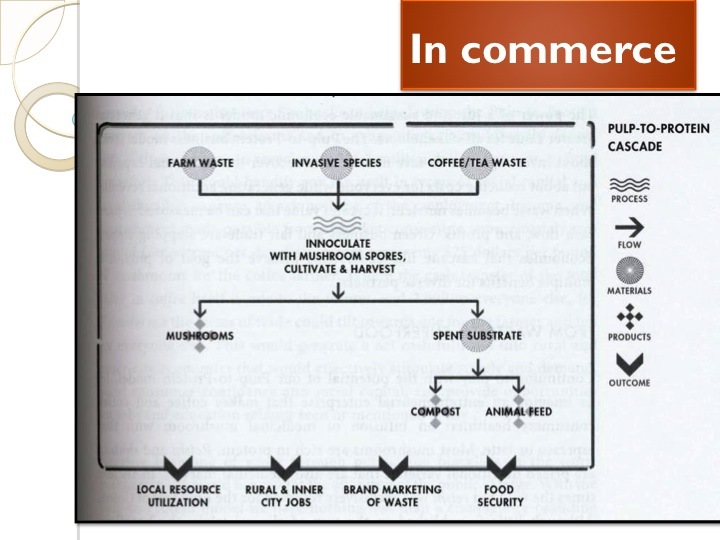 Normally these tools help to design a plan but can substitute when the context is appropriate. 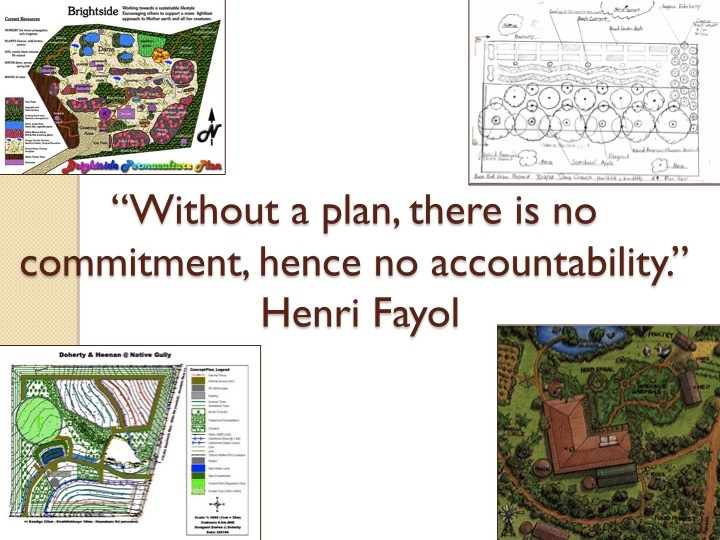 Ultimately this quote below sums up why we take the time to go through a Permaculture Design. It is by no means an easy process because essentially you are creating a giant vision for what you what in your life, in your community, or you are doing this for a client and they will always find resistance within the process. It is a process that is new and scary for most but do not let fear keep you from realizing your dreams. 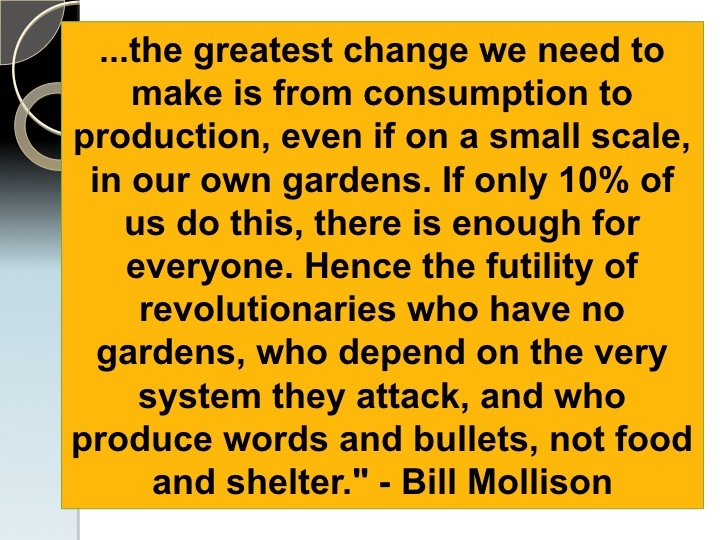 From this design work, extends a call to action that Bill Mollison says so well below. Consumers to Producers!!!!! What are you producing? Hi Doug, Yes…we’ve had a small urban garden for a few years and grown some herbs (basil, coriander, parsely), vegetables (cucumbers, tomatoes, zucchini, beetroot, potatoes…) and fruit (strawberries, raspberries) with varied success and in an ad hoc, experimental, ‘I think this would be a nice idea’ fashion. Thinking about doing this more seriously, as a means of producing for actual self sufficiency (and production rather than consumption), the big switch in thinking is moving from random, ad hoc planting and growing to purposeful, applied, thoughtful DESIGNED planting and cultivation – now starting to apply some permaculture principles in small ways (e.g. which plants are companions? encouraging natural pest control, seeding potatoes, thinking purposefully about the layout and experimenting with techniques like raised beds…). 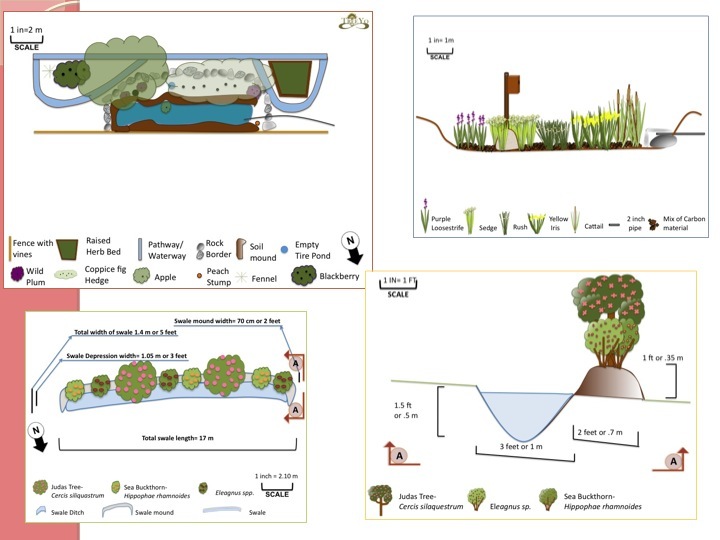 Great tips on how to start undertaking this design using accessible tools (powerpoint, and even just simple 3d models with clay, stones and sticks- simple rapid prototypes) – these will be things i’ll be trying out soon. Thanks for your generosity in sharing your knowledge and experience.